To provide our students with the most professional training available in canine massage. This training enables you to work independently, or side-by-side with veterinarians and other canine professionals. 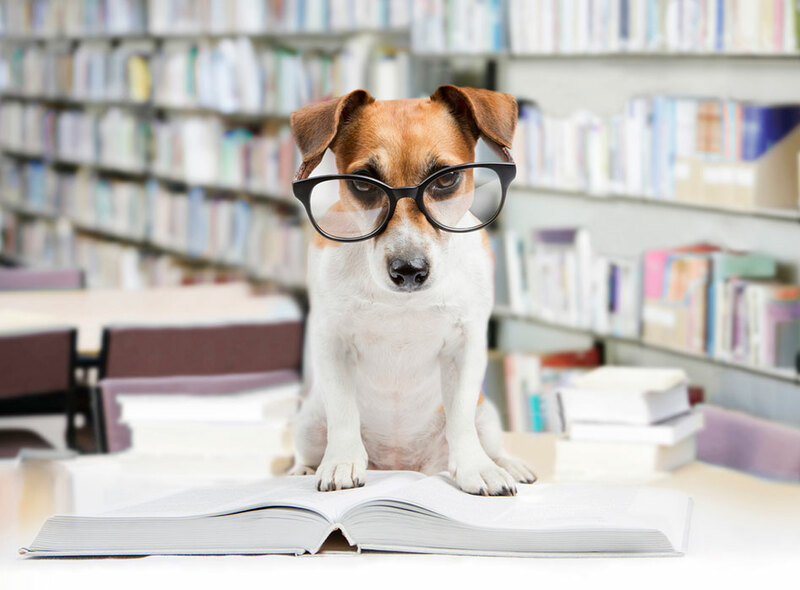 We provide you with the knowledge needed to meet the needs of each canine client. Additionally, you will gain the knowledge and skills necessary to know when to refer to other canine professionals. We strive for excellence in the training we offer our students. We provide the tools and the training to help our graduates excel in the field of canine massage. And we encourage our students to always keep learning after they have completed our program. The Lang Institute for Canine Massage is a Colorado state-approved program that has provided excellence in canine massage training since 1999. The Lang Institute for Canine Massage offers a comprehensive 663-hour program, designed to provide you with a solid foundation for starting your new career. We offer instruction for all levels, from beginners to experienced veterinarians and canine rehabilitation practitioners looking to expand their skills. Click on the paw print to learn more. Developed by board-certified, practicing veterinarians, PhDs, education specialists, and a Master Certified Massage Therapist, the Lang Institute's home study program provides the foundation you'll need to be prepared for our hands-on practicum. Dogs, dogs and more dogs! We offer a four-day intensive practicum that will allow hands-on work with a variety of dog breeds and temperaments. The Lang System was developed by Joanne Lang, a Master Certified Massage Therapist who has over thirty years of experience massaging people, dogs, horses, and even an elephant! The Lang System is a unique combination of observation, massage, and exercise. This combination will help prepare a dog for whatever work or challenges it may encounter. Join our many graduates who have established professional canine massage businesses throughout the United States and beyond! "I am a conﬁdent and ﬁrmly grounded canine massage provider due to the training I received with the Lang Institute for Canine Massage. After researching many local and national programs I discovered the Lang Institute to be the most extensive in curriculum and hands-on training. The four-day practicum was invaluable and exceeded my expectations. Joanne provided students with the opportunity to work on over 100 dogs with varying needs. We were able to assess gait on every dog and Joanne provided personal feedback and massage suggestions in a positive learning environment. 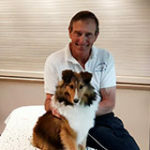 The Lang Institute for Canine Massage prepared me with a solid foundation of the highest level of skills needed and the conﬁdence to build my canine massage career." 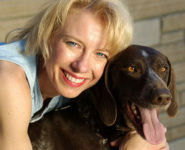 "I had the privilege of completing the Lang Institute for Canine Massage program in 2004. It was a life changing experience for me. Why? Simply because I learned more about dogs than just massage techniques. Canine anatomy, physiology, pathology, movement, nutrition, breeds and behaviors, and business practices were all integral parts of the program. Each section had study materials, review questions, practice tests, and an extensive exam after each section. No other program even comes close to the requisite hours nor the results from being a graduate of the Lang Institute for Canine Massage. My clients come to me because of the training and skills learned from Joanne Lang. There may be cheaper alternative programs and easier requirements, but if you intend to be a PROFESSIONAL canine massage provider, the Lang Institute will give you the skills and knowledge to develop your own business and clientele who will stay with you." 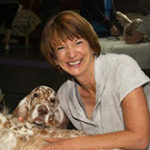 "I have always loved being around dogs, so it was a natural decision to pursue becoming a canine massage provider. 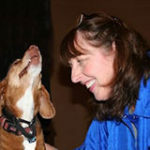 I chose the Lang Institute for Canine Massage because of its curriculum and instructors, and it was a great decision. The coursework is thorough, detailed, and presented in a format that is easy to understand. Being able to complete the coursework at my own pace before taking the practicum was a big plus. It’s wonderful when a career and a passion come together – for me that is canine massage. The Lang Institute for Canine Massage gave me the skills and the confidence I needed to move forward and start my own business. Since graduating, I have massaged dogs in clients’ homes, at dog shows, and at animal shelters. Every dog and massage experience is unique and I treasure every one of them." Click the link above to see shows and events that we will be attending.